Imagine how the first dictionary was written. How do they find all the words without leaving any out? I mean, all the words. It turns out to have been a many decade-long (seventy) process, to produce the Oxford English Dictionary. In this book, Winchester documents an interesting aspect of the making of this famous dictionary - Dr William Minor, one of the most consistent and prolific contributors, who lived in an asylum in England for the criminally insane for most of his adult life. The book covers several stories - Dr Minor, his years in the American civil war, Professor James Murray and his role as main editor, the history of dictionary writing before the OED, life in an asylum, mental illness, the murder of George Merrett, and the dictionary itself. I liked the Victorian times, and how Winchester included so much information, without feeling like overload. Each chapter begins with a pertinent word's listing from the OED, giving people like me, who have never read from the OED, an idea of what it was like. My only complaint is that by including so much extra information, Winchester sometimes inserted a random fact that just seems out of place, and inserted his views or biases of people or ideas. Nymeth discussed this in detail this week as well. My example was this one, in discussing Murray's friendships. Poor Frank Allcroft. 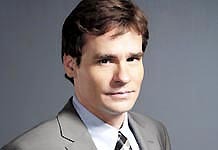 He's a news show anchor with little social awareness and not much of a sense of humour. He's still mourning the death of the anchor he has replaced. Phil was a legend, and Frank's mentor. He's also 43 and verging on a midlife crisis. He begins to look into Phil's hit and run death a little more closely. Frank actually 'deals' with the news stories he covers belatedly. Deaths of people with no next of kin particularly bother Frank. 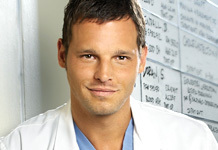 Frank was a great character, never wanting to hurt anyone's feelings, but ends up being put upon. It makes him seem like a pushover, but he really isn't. The story moves along nicely, with a slight mystery. I wouldn't call this book a mystery from the genre, but there is an overarching mystery to be solved, along with Frank settling issues in his life. O'Flynn writes wonderfully rich characters like Frank and his wife and daughter, who are also very real. The overlying themes in this book are about appearances. Frank's father was an architect involved in the rebuilding after the war. His buildings are now being torn down after valuing function over appearance. His town planning idea shows that you can't always plan for things to turn out the way you want them to. Frank does a lot of reminiscing about his childhood and his parents, and how they led him to be the way he is. The book isn't long, but as I try to write about it, there are so many ideas and layers that it is hard to describe. So, O'Flynn - terrific writing, lots of humour, rich characters, a mystery or two that keep you turning the page, great surprising ending, along with some social commentary. I think I've found a new author to watch. I enjoyed The News Where You Are so much that I checked the library and was able to pick O'Flynn's debut novel. Then, accidentally arriving to a girls' night out dinner an hour early with only this book in hand, I got a great start on it. It was also great! The first part of the book, in 1984, we follow Kate Meaney, nine year old detective in the making. She reminded me of Flavia de Luce but with a kinder heart. Smart but equally lonely. Then the book jumps forward twenty years, and we meet Kurt and Lisa, two disenfranchised twenty somethings, working dead end jobs at the local mall. 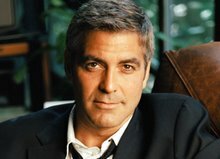 Both have a slight connection to Kate from twenty years before. Then the third section wrapped up the slight mystery with some great twists I did not see coming. Well, maybe I saw them coming a little bit, but I still enjoyed them. Her setting of Birmingham is gritty and looks at England during a time when the failing industrial business changed the landscape. Her characters felt so real, making decisions good and bad. And she has a wit and humorous way of writing. There are a few rifts on customers that only people who have worked in retail can appreciate. She reminds me a bit of Douglas Coupland with the rich characters, humourous writing and engaging plots that subtlely make social comments on a few layers. Yep, I still have O'Flynn on my author watch. 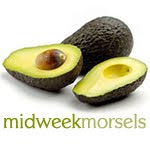 Kristina used to host Midweek Morsels every Wednesday, then she stopped. But I've noticed she started posting recipes every now and then, so I'm going to join back in occasionally. I went raspberry picking this week and had a most wonderful time - the weather was hot and sunny, and you get to stand up while picking. Much more comfortable than strawberry picking. While fun to pick, I don't have many recipes that call for fresh raspberries. Raspberry jam is my favorite, but it's a lot of work and Kraft jam tastes great. Then I found this recipe from an old Taste of Home magazine. It's so easy and tasty, I'll be making this every year with fresh picked raspberries. In a bowl, combine 1 cup flour and salt; cut in butter until the mixture resembles coarse crumbs. Stir in cream; pat into a greased 13-in. x 9-in. x 2-in. baking pan. Combine the sugar and remaining flour; sprinkle over crust. 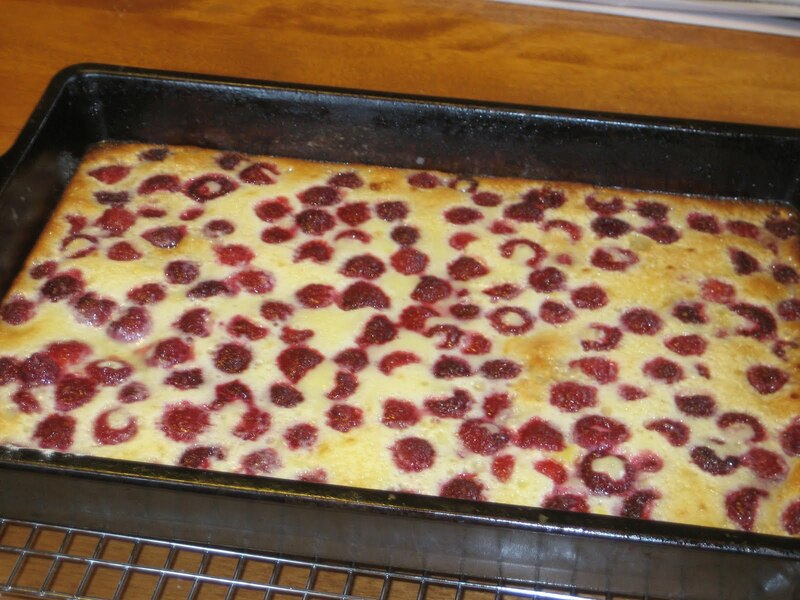 Arrange raspberries over crust. For topping, combine sugar and flour. Stir in eggs, cream and vanilla; pour over berries. Bake at 375 degrees F for 40-45 minutes or until lightly browned. Serve warm or chilled. Store in refrigerator. My time for Paris in July, and Orange July is wrapping up nicely in my final book for both. I couldn't have planned better if I'd tried, which I didn't. Part of what makes this novel of wartime France so compelling is knowing that Nemirovsky wrote of what she knew, and sadly, that she never survived the German invasion of France. Nemirovsky was sent to a concentration camp and died before the war ended. Her daughters, hidden in homes during the war, carried her manuscripts with them and eventually had them published. Suite Francaise, which is composed of two section of a proposed five part novel was put together from Nemirovsky's notes. We can never know how she might have edited or changed what this book ended up becoming. Amazingly, it is still a great read and a wonderful, if incomplete story. Storm in June covers the exodus from Paris after France fell. Alternating chapters show the many perspectives and experiences different classes of people had. Dolce is a smaller story, focusing on one small village under occupation by the Germans. Both give a view of what life would be like during a war and an uncomfortable occupation. Nemirovsky keeps the focus on the individual person, and the fact that she wrote this while the war was going on, with no idea of the eventual outcome, and kept such an impartial view impressed me. The writing was fluid and poetic, in some parts more than others. I wondered if some of her asides in brackets were meant to be there or just notes to herself about character that she wanted to make sure to include later. All in all, her insight into human behaviour and feelings combined with the wonderful writing was what made this an engrossing book. And a very sad story - both hers and the novel. 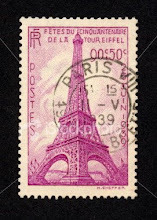 Paris in July is being co-hosted by Karen from Book Bath and Tamara from Thyme for Tea. You are supposed to write about what you know, and Carolyn Parkhurst has written about an author, Octavia Frost. On her way to deliver her latest manuscript, Octavia reads on a newspaper that her estranged rock star son has been accused of murdering his girlfriend. This leads Octavia to to some remembering about her past and what lead to their estrangement. An interesting technique in this novel was to include excerpts from Octavia's books within the novel. The idea of her latest novel is that she has rewritten the endings of all her novels and they are included. In the beginning, it felt too disruptive to the main plot, but as the book went on, these endings became more a part of the story, as the reader begins to see how much of Octavia is in all her own novels and why she wanted to change her endings. The plot involving Octavia and her son Milo, and the murder of his girlfriend was the right amount of suspense. It wasn't quite enough of a mystery to be in that genre, but it was nicely played out, with enough characters with motive and clues to keep the pages turning. When I read The Swimming Pool, I thought the mystery of the death would play out more like this book did, so I was pleased as I do like a mystery. 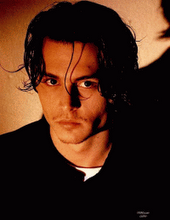 The characters were all a little spoiled - famous author, big rock star, famous aging musician. Octavia narrates the novel in the first person, and she writes her story like a novel, and lives events in her life imagining how it would play out in a book - a little self-absorbed but also self-aware about her faults. As the book went on, I liked her a bit better as she came to grips with some of her past actions and she worked on getting along with Milo. How far would you go to defend your child? One time in university, I woke up in the night, sort of. It felt like only my brain woke up, but my body was still asleep. I couldn't move, or talk, and it really freaked me out. I ended up just falling back asleep cause what else could I do? Eventually I discovered it is called sleep paralysis and it isn't that uncommon, although no one I explained it to recognized it and it only happened that one time. The short story, The Death of Olivier Becaille (read on here on dailylit) might be an example of sleep paralysis, or something more serious.The narrator is the guy who died, but why can he still be thinking? It's quite a creepy little story as my introduction to Zola. Olivier describes all the events of his death - his wife's reaction, the doctor coming, the funeral, even his internment. The reader is left wondering - is he really dead and this is his journey into the beyond, or is he being buried alive? Either way, it's a great short story that has the reader hanging on to find out what is going on. I'm off to find another short story by Zola to read for Summer in Paris. It's still July, and time for anther Orange book. I've had this one for a while, and was saving it to read in July. I love when a book I've been looking forward to lives up to expectations, and yet makes you wonder why you waited so long to read it. Just this easily, everything worthwhile in a life can be erased. What an ambitious book! Beginning in Nagasaki in 1945 and spanning decades and countries, ending up in post 9/11 New York City, Burnt Shadows examines war and displacement through its effect on two families. There are several distinct time frames and locations, and I thought some parts worked better than others. Japan and Delhi, the first two sections were my favorites. Shamsie's writing and the characters she created were so vivid and real. I liked how she used the 'enemies' from World War 2, Germany and Japan, for the two female lead characters, and then some 'smaller' events, like the Nagasaki bomb (not the Hiroshima) and Indian partition in 1947 (it was a good thing for the English to leave, right?) to showcase the large effects on everyday people in war. What makes a person feel a part of a country? Is the English boy born and raised in India not allowed to love the only place he's been born? Moving the action to Pakistan in the early 1980s provides western readers with a look at what was going on in Afghanistan and Pakistan during the Soviet invasion, how the Americans got involved, and how young men could have been caught in training camps. The last two sections, particularly the post 9/11 became a little too much about espionage/CIA and less about the characters I wanted to read more about. Much of the action and characters had moved to New York City and the story changed. Shamsie seemed to be trying to connect too many threads and wars into one neat finale. She kept the same themes and symbols from the first sections, the families that were so entwined, but by making the story so big, she lost a bit of the character development. Plus, her main characters were so old by 2001 and their children and grandchildren took over the action, and I wasn't as interested in them. I still really enjoyed this book, even with the changing last section. After a run of mysteries and Newbery winners, I felt like a grown-up reader devouring a very good book, with adult themes and a plot that had me thinking of people and countries around the world. Thanks Orange July and RandomHouse, for an intelligent, engaging read. A little collection of mysteries that I've been speeding through this summer. Maisie is asked to locate the missing daughter (34 years old!) of a business tycoon. While searching for her, she discovers another crime that may be related to the daughter.Maisie's assistant, Billy Beale, is having some problem still from his wounded leg. The time period, 1930s between the war, and the setting of London are rich. For the reader, knowing that WW2 is looming, makes the effects still left from WW1 so poignant. I like watching Maisie analyze others when her life is a mess now as well. She's no Poirot, with her reliance on psychology, and empathy and trying to 'feel' the dead person's presence and state of mind, but Maisie gets the job done, in an unorthodox manner. There is lots of room for Maisie's growth. She is worried about people around her, and spends time trying to understand their motives - the next few books should begin to focus a bit more on Maisie. Bring them on. It took me a while to get into this mystery. I think it is supposed to be funny or farcical, but it didn't tickle my funny bone for quite a while. Maybe I'm not familiar enough with the French sensibility? I think some of my problems with the book may have been the translation - too many pronouns so that I had no idea which 'he' was being referred to although maybe that was part of the mystery in French as well. So, the first half of the book was perhaps purposely oblique and confusing. However, I enjoyed the second half, once I met Laviolette and he started working and living in the small village. The characters started to stand out a bit more, and I ended up enjoying my stay in Provence. The first book read in a series can be an adjustment, getting to know how the detective works.The mystery moved quickly and resolved itself with a few twists, but was explained logically. Salvo finds a house for friends of Livia who want to vacation on Sicily. They arrive with their young son, a bit of a handful. Searching for him one day as he has disappeared, Salvo comes across a murdered body. The family, and Livia leave the house, with Salvo left to deal with the crime and the heat. It's a scorcher on Sicily. Salvo is particularly cranky in the heat, and deals with it his own way, often stripping naked and going for a swim, or finding relief in his office beside a fan. The food, the interactions with colleagues, especially Catarella who butchers the language, the footnotes by translator Sartarelli, and Sicily - another great outing with Camilleri. Again, Salvo is distracted if Livia is not beside him, and blames her for all their fights, well, eventually he realizes his part in them. He is too easily attracted to women, and his midlife crisis makes him susceptible. So, still, Salvo's treatment of women is bothering me. But that's about it. The Wings of the Sphinx is the only other translated book available right now; The Track of Sand will be released in October 2010. Keep up the excellent translation, Sartarelli! I decided to look in the library for some Newbery Prize winning books from the 1930s. My library only had a few, but it was interesting to read them all together and get a feel for children's literature from that decade. Interestingly, they were all woman authors. The only one I'd heard of before. Caddie is a mixture of Anne of Green Gables (red hair) and Laura Ingalls (pioneer). Caddie is growing up in 1864 Wisconsin after leaving Boston. She would rather play with her brothers, was friends with the local Indians, and loved living the outdoor life. Her father convinced her mother to let her live as she pleased, for as long as she could, which meant tomboy life. Caddie Woodlawn has been challenged, based on the Indian portrayal. Caddie and her family certainly represent a tolerance and acceptance that was not probably common in that day, and much like the Little House books, contain stereotypes. I think it still helps to read these books, if only to understand the attitudes that got us to this day. This was a sweet, slice of pioneer life, with some adventures that kids today would not be the slightest bit familiar with. Think of this one as a pre-Charlotte's Web but not focused on the animals. Set in Wisconsin (again!) but during the Depression, nine year old Garnet finds a silver thimble that she thinks brings her good luck for the summer. Garnet lives a life similar to Caddie - farm life, but would be so different from today's kids. Garnet and her friend hitchhike rides to town, get in a few scrapes, and end their summer at the county fair, with her pig, the runt of the litter that she raised by hand, entered and hoping to win the blue ribbon. Sound familiar? 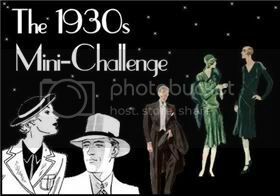 I thought this book was sweet and was perfect for the 1930s mini-challenge as it was actually set during the Depression. It even included a poor, riding the rails orphan who gets taken in by Garnet's family. Another example of how times have changed - no social services to deal with. Not that social services is bad. It ended up being a good home for him, so he stayed. If it hadn't been loving, he just would have left. My first nonfiction Newbery book was a biography of Louisa May Alcott.The facts of her life and family are all here, but I found it a bit boring overall. Fans of Little Women will enjoy seeing where some of the characters came from, and there is a lot of name dropping, as the Alcotts hung with the literary circle of 1800s New England, like Ralph Waldo Emerson, Henry James, and Henry David Thoreau. Meigs described Louisa's personality and traits, like her temper, but I never felt like I experienced her life. Too much telling, not enough examples of showing. It seems to be a well researched book, and it is full of facts and people. The Alcotts moved around a lot, and were never very settled. It still reads well, but it feels like a scholarly biography and report about her life. I didn't actually read this one. Maybe someday, but the other three books all had the same feel - early Americana, and I couldn't seem to get started on this one. I'm on glorious summer PEI - with Regis and Kelly! They have been filming here the last two days, and I was at the filming from yesterday, to been seen tomorrow. PEI is enjoying their stay, even if Regis doesn't like shellfish very much. Where is reading taking you today? Write a post, leave a comment, spread the word. It's Orange July, time to read a book or two that have been nominated for the Orange Prize. I've chosen a Canadian nominee from 2007, Lori Lansens and her wonderful book, The Girls. 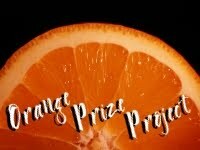 For more info on the Orange Prize Project, check out the blog or the Facebook page. Ruby and Rose are 29 year old conjoined twins. Rose is writing her autobiography, and Ruby writes a few chapters to be fit in between Rose's. The two sisters have extremely distinctive voices, as Rose is a writer, trying to tell her story, putting thought into what she is telling, while Ruby writes much more straightforward, more like a child's diary. The two views of similar events are a wonderful technique to show the girls different personalities and take on life. The story is not huge, just the story of their remarkable, yet unremarkable life. Living in a small town in southern Ontario, they have a small circle of family and acquaintances, even while being well known. The writing was wonderful, and I couldn't put it down. I like a book that has some foreshadowing of events so I am not too startled and the two sisters tell their story very differently, and in different order. Nicely done. I've already passed this book along to my sister, and I am now looking forward to Lori Lansens other book, The Wife's Tale. A great find - an LM book I hadn't read before. All the characters you love to see are here - the confirmed bachelors, the old maids, the stubborn star-crossed lovers who haven't spoken in ten years, a mistreated orphan, and the crotchety aunt who speaks the truth with a sharp tongue. The main story here is that Aunt Becky has decided to leave the family heirloom to someone when she dies, but it won't be announced until a year after her death. She sets out a few guidelines (no swearing, must be married, no drinking) which cause the two clans, the Darks and the Penhallows, to, in some cases, radically change their behaviour. LM keeps a large cast of characters unique, interacting, and easy to follow. I enjoyed most of the storylines although some were predictable. LM has a few story lines that she follows, but I enjoy her books because of the predictability. So I knew where the orphan would end up, which couples would get together but not who would get the family jug. She did a great job of the ending, tying up the story lines and surprising me as well. There is an unfortunate last paragraph that is quite jarring and offensive that could so easily be changed without changing the story. Other than that disappointing moment, A Tangled Web is a delightful Montgomery book. Welcome to the summer edition of Where Are You? Summer doesn't officially start until school is done for me, which means July 1st. That's also Canada Day, and the start of the 4th Canadian Book Challenge. Our family started the summer at a basketball tournament, the Eastern Canadians. My son was on a U13 team that won a silver medal, which was pretty awesome for our small province. He was also chosen as an All-Star for the tournament, all 5' of him. And let me tell you, they grow some pretty big 13 and 14 year old boys these days. It's time for the 4th Annual Canadian Book Challenge, hosted by The Book Mine Set. Head over here for more details. The idea is to read Canadian books. Since we have 13 provinces, reading 13 books is considered finishing the challenge, but really, any amount of Canadian books is a win. You have until Canada Day next year, July 1, 2011. My list of 10 favorite Canadian books that I would recommend to read are listed below, other than Anne of Green Gables - that is just understood! Well, I lied. I ran out of list - it's not my list of favorite Canadian books, but it is a list of books I've loved over the years. I don't think I could make a list of 10 favorite books - it's too hard. I left out too many, like mysteries and thrillers by Linwood Barclay and Louise Penny, the Gordon Korman and Jean Little books of my childhood, and all of LM Montgomery's listing. There is a great listing here at The Book Mine Set of all books read and reviewed from last year. Here's some of the books in my house that I'd like to get read over the next year or so.